Mark applied some Plastimake to the underside of a rug to stop the corner curling up. Push hot Plastimake into the underside of the rug and hold it flat while it cools. 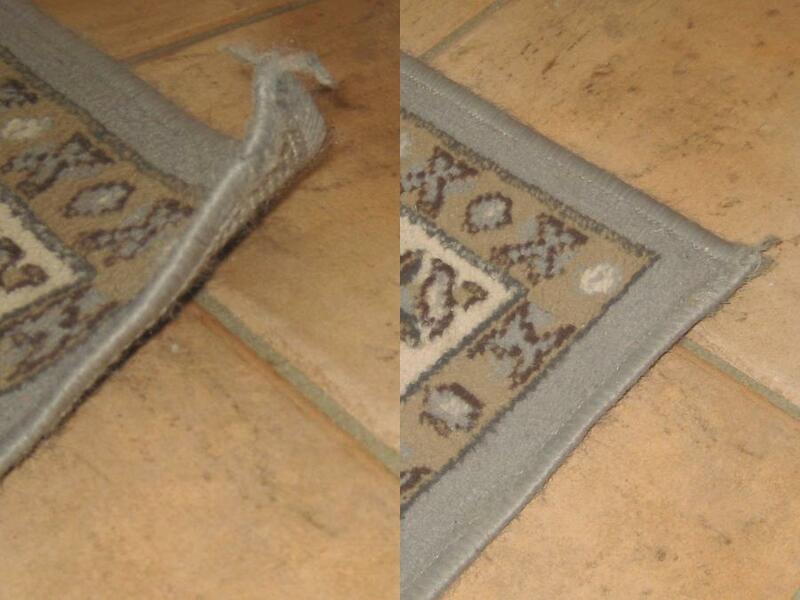 I used about 2 tablespoons of Plastimake and worked it deep into the underside of the rug. It ended up being about 2cm wide and extends about 10cm each direction from the corner. It has lasted a few weeks now with no problems. I was worried it may "tap" when stepped on, but it doesn't. Now we have a nice flat rug again.